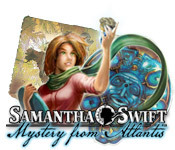 Samantha Swift: Mystery From Atlantis is rated 3.8 out of 5 by 6. Rated 5 out of 5 by cathain3 from Harder than the other Sam Swift games The HO scenes for this games are still pretty easy as far as HO games go, but they are harder than the other games in the series. I still love the characters in this series. This game has a little better graphics than the other three games (still not realistic, but more beautiful this time). Worth 7 bucks, in my opinion. 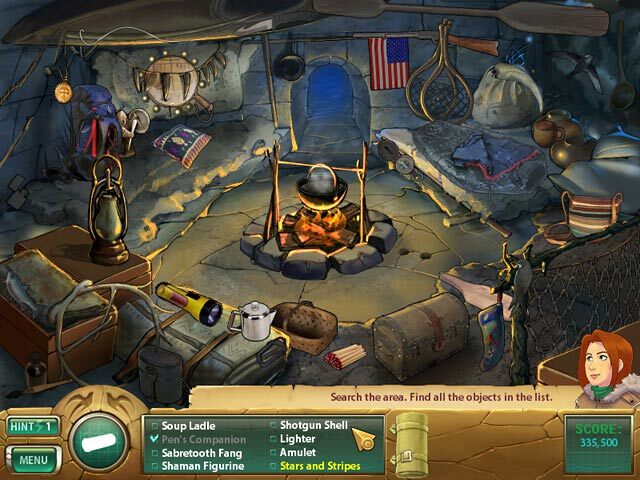 Rated 4 out of 5 by sandrah212 from Sam Swift, the female Indiana Jones This is a very nice HOG with some interactive scenes and puzzles that is well worth your money! Despite its age, it doesn't look and feel too dated, and I actually like the graphics! Well-crafted story and characters, too! 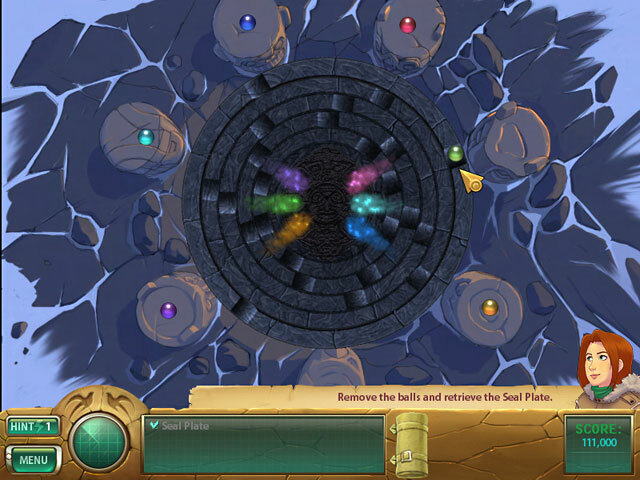 There's high replayability, as you can try to beat your previous scores. 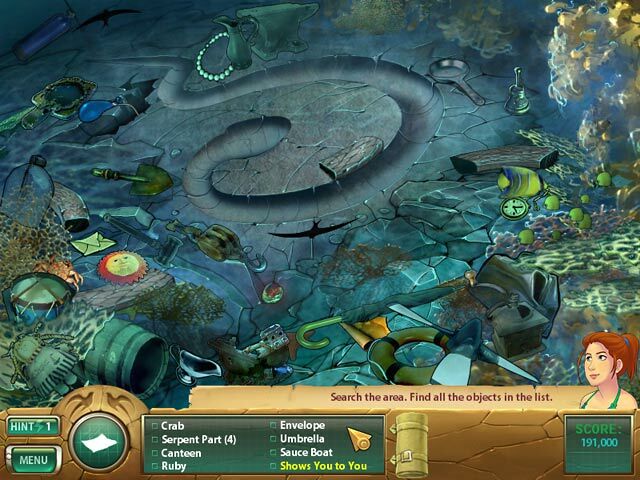 You can also unlock a hidden object mode (with scenes from the game) that you can replay separately and also try to beat your score. And there's a museum where all your findings are collected. Rated 4 out of 5 by MEnr56 from VERY NICE GAME BUT... I REALLY liked playing this game BUT I did NOT like the following: *CONSTANTLY having to click on an item time and time and time again before it could be picked up Several times I used the hint button only to discover that, in fact, what I was trying to pick up was the correct item. I found that aspect of the game VERY annoying and frustrating. Rated 4 out of 5 by AdrianaIP from Fun with beautiful, relaxing scenes, and clever ideas The storyline is relaxed, and unlinke other HOG, you do not feel stressed by peering into detalis, but feel relaxed, and feel smart when you catch on. Amusing clever details, like causing an anvalanche by finding noisemkeras and using them. Still not the same level of fun "building of contraptions" as in previous games. Storyline, even if kept in background, is engaging and always there. Loved the scanners used in different scenes, as they upped the challenge. Rated 1 out of 5 by itsme4t3 from if you like HOG That's all this was...one big HOG. There was no adventure, a couple of very lame tiny puzzles. You were popped from HOG screen to HOG screen. The most boring game I have ever played. I don't mind HO, but with decent graphics and story etc.